PayPal just bought Braintree. But the payments giant wasn’t the only company having conversations with Braintree, a Chicago-based startup known for its appeal to app developers. Square, a mobile-payments company focused on elegant design and smaller merchants, appears to have been interested in Braintree, too. And that suggests that Square is rethinking what it is and how it should play in the vast, convoluted world where money moves. 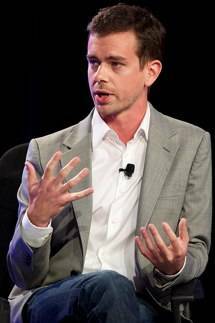 ReadWrite recently heard of a meeting between Braintree CEO Bill Ready, Square CEO Jack Dorsey, and Square CFO Sarah Friar. When we asked Ready about the meeting, he didn’t deny it happened—far from it. It first helps to understand what the companies do: While they both nominally offer payments-related services, their products and customers have almost no overlap. Square offers a physical credit-card swiper for use with smartphones and tablets and a more integrated cash-register substitute built around Apple’s iPad, the Square Stand. Along with that hardware, it offers a flat-fee payments service. For the consumer, very little changes—they still swipe a credit card, though Square can send receipts by email or text message instead of printing them on paper. Merchants—typically small stores, service providers, and small chains with less than 10 locations—get a simplified fee structure. Though Square has just recently expanded into e-commerce with its Square Market, it primarily helps sell goods and services delivered person-to-person, in the real world. Braintree, by contrast, is a back-end payments processor; its brand is all but invisible to consumers. It started out as an e-commerce alternative to PayPal and other services that let retailers charge credit cards online, but more recently, it’s found a lucrative, fast-growing niche in providing credit-card processing to mobile-app developers. Last year, it bought Venmo, a person-to-person payments-app maker, which gave it a consumer-facing brand. Before PayPal announced its acquisition, Braintree was in the process of turning Venmo into a mobile wallet that let users enter a credit card once into a Braintree-powered app, and then use that card with other Braintree clients without having to reenter it in every app. Where Square and Braintree begin to overlap is in the world of services. The same magical idea that lets you order a coffee at Blue Bottle and pay for it by saying your name also lets you pay for an Uber ride by opening up a car door and walking out. In both cases, a charge is made to a stored credit-card number kept securely in an account stored on a server. 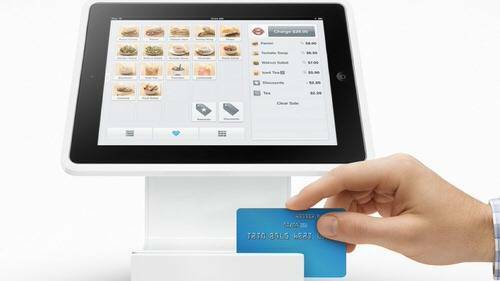 “We want to carry every transaction,” Square’s Dorsey recently told the San Francisco Chronicle. That ambition can’t be fulfilled if Square merely serves small “micromerchants” in physical environments. It must also tackle the virtual opportunity. There are signs that Square is thinking bigger. The Braintree conversation is one—though an acquisition would have strained Square’s resources and challenged its identity. Another sign is Square’s recent hire of Gokul Rajaram to run its product engineering. Rajaram is an expert in software platforms from his years at Google and Facebook. “Platform” is a term often loosely thrown around in technology. Many companies claim to run platforms; few actually do. A true platform provides a system for exchanging value based on a kind of technological codependence. The platform operator provides the underpinnings for other software developers to create useful applications on top of it. Those applications, in turn, build the value of the platform. Today, Square stands almost completely alone. It builds a beautifully integrated system of hardware, software, and services, which lets it move swiftly and decisively when it sees opportunities to improve its product. But it has little interaction with other software makers, which seems like a lonely way to do business. It has begun to loosen its grip. Last year, Square launched a much-publicized partnership with Starbucks, though the actual implementation to date has been disappointing, a kludgy affair involving poorly trained baristas and confusing barcodes. More recently, it announced that its customers could port data from Square’s proprietary Register software to Intuit’s QuickBooks. Those are tentative measures—perhaps tests as much internal as external, to see if Square can learn to play well with others. But eventually, Square must open up. Upstarts like Square cannot count on incumbents like PayPal ineptly missing new opportunities—like the emerging businesses of smartphone and mobile-app payments that let Square and Braintree spring up in the first place. While Square now processes more than $15 billion a year in payments, it’s less than a tenth of PayPal’s size. One obvious product to lead with is its distinctive “pay with name” feature, which it now calls Auto Check In. This could be the basis of a service it offers to other app makers—one that might benefit from Square’s distinctive and trusted consumer brand, which unlike, say, “Braintree” or “Venmo,” many people now recognize as a means of payment. A familiar Square icon would signal to smartphone users a simple message: You don’t have to reenter your credit card here. Square may never have a completely open API, since it trades in people’s finances and merchants’ business data. But it may offer tiers of access, or a system of invitations to select developers who complement Square’s commerce-focused offerings—and who could then build out Square-compatible systems for merchant’s own websites. Courting those developers, a constituency Square has historically ignored, will be a trickier matter. It may need to do an acquisition of its own—perhaps Stripe, another San Francisco-based payments startup with which it shares principles of elegant design, not to mention some prominent investors. Stripe CEO Patrick Collison’s famous devotion to customer service and his intellectual rigor would make for a good cultural fit with Square. The prospective combination of Stripe’s Collison and Square’s Rajaram ought to strike fear into the hearts of PayPal CEO David Marcus and Braintree chief Bill Ready, if they have any sense. Can Square add another side to its business—adding services for app developers to its elegant hardware, software, and payments? Without it, Square seems to be missing a leg.